Have you ever wanted to give back to your community and, potentially, the entire world? For all of the customers who have enough money or resources to do even the simplest things like buy groceries or have a roof to live under, there are hundreds and thousands more people who are not as fortunate or they’re facing hard times ahead. 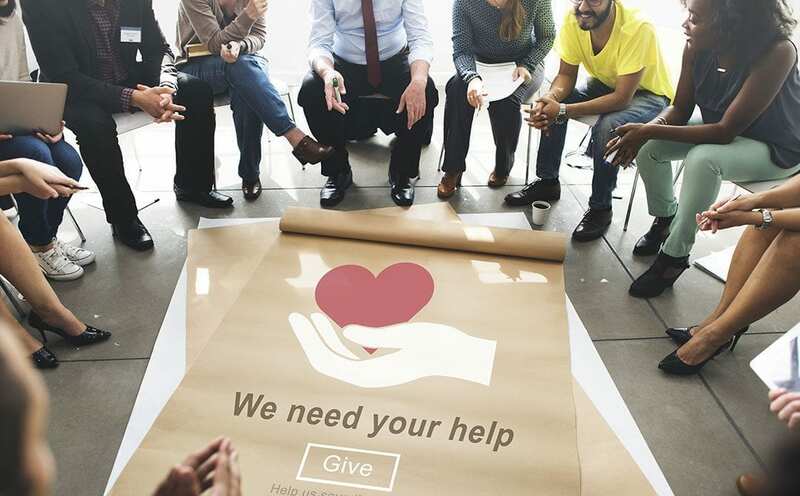 This is the time of the year when many businesses, specifically charities and non-profits, come together to extend their charity for a good cause. One thing several non-profit groups don’t have to get their message out however is a website, or any online features. Today we’re going to look at exactly why these sorts of companies really need not just any old website, but a really good one. Usually the main reason why many non-profit groups don’t have a website is because it all boils down to a budget that’s already strained or very small compared to commercial businesses, or the non-profit group only consists of a few people. Regardless, these groups are one of many that really do need a website! Every non-profit is unique, differing from the size of the organization to how far their compassion extends. They could be a more global group looking to resolve a worldwide epidemic, or maybe they’re in your own neighbourhood looking to make a slight improvement there. Donating to a charity also has some benefit to you, the user visiting the charity group’s website. There, you can educate yourself about what’s really needed to better your neighbourhood and your life, and how you can make a difference in your own way, however big or small it is. Doing something in terms of charity is better than doing nothing at all! Naturally not every non-profit group will have the exact same influence or budget. However, you can get your website to go a little above and beyond by understanding the foundations of what makes a great website, which we go over below. An understanding of the audience. Naturally we love the idea of being able to help everyone in the world, but obviously some need it more than others and some pain points differ from person to person. Money can always help, certainly, but sometimes other forms of donations can help your target audience too—both the kind who needs help and the ones you want to ask for donations from. Knowing your audience and what they need most of all, as well as knowing how and what to ask for in terms of donations, should all be front and center when it comes to getting your website designed and developed. Once you do know your primary audience, you can start designing the web experience on your site from there. It’s also a requirement that any new website is very easy to use, and that the payments are secure. Having a secure SSL address, according to Google, is now no longer an option but an absolute necessity if you want your organization to come across as trustworthy and worth donating to. People are trusting you with their money, after all, so transactions, if online, should be as secure as trustworthy as your website. As soon as you know who you want to target in terms of audience, your website should present clear calls to action. These are your main tools to make your website work hard and encourage people to get involved with your cause. Use active words in a simple and specific prompt, and make it as obvious as possible what your visitors could be doing. Buttons and signs around these calls to action can also help measure out people are navigating through the website and if they’re clicking where you need them to. Well-written content should always be a given no matter what kind of website your charity group wants to have. The content must always come from a place of sincerity and humbleness, however, as well as authentic concern for the people you are trying to help. Sharing uplifting stories about your charity’s successes, the current state of affairs involved in the pain points you’re targeting, charity events you’ve participated in, why you’re a group at all—all of these make for good content ideas on social media and a blog. Take advantage of the successes you’ve achieved so far and let the world know the good you’ve been doing and are capable of. This can help prove your point that people can and should donate to your cause. Keeping in touch with the people who sponsor your non-profit or charity is important, so send out a newsletter every so often. This effective content strategy can help remind people that you still exist and that you’re looking for help. If there’s a big funding event coming up as well, an e-newsletter can help with that too. Other effective strategies to stay in touch with your sponsors include social media, video marketing (if you’re comfortable with that), and a blog, all of which a website can and should feature. However you choose to stay in touch, make sure you put that strategy to good use! Don’t just sign up for one of these ideas and then use it only once. Those non-profits who have raised many funds in the past have done so by using their tools constantly. In case you’re wondering, yes, we can build your charity or non-profit a new website. Give us a call at V3 Media and let us know what kind of a website you need. If you’d rather discuss things first, that’s fine too! One-on-one consultations are something else we offer. You pick the location and we’ll be there! Let us help you so you can help others! V3 provides services to businesses and individuals in Lantzville, Nanaimo, Ladysmith, Duncan, Chemainus, Qualicum, Parksville/Oceanside, Port Alberni, Tofino, Ucluelet, Courtenay, Comox, Campbell River, and throughout BC. We also provide services to clients in Medicine Hat, Redcliff, Brooks, Taber, Bow Island, Maple Creek, Kindersley, Swift Current, Moose Jaw, Drumheller, Vulcan, Lethbridge, and other areas in Alberta and Saskatchewan. Other locations we provide service to include Victoria, the rest of Vancouver Island, the Gulf Islands, Sunshine Coast, the Sea to Sky Corridor, Vancouver and the Fraser Valley, Salmon Arm, The Kootenays, Kamloops, Kelowna, Calgary, Edmonton, Red Deer, Regina, Winnipeg, Bellingham / Whatcom County, Glendive and Eastern Montana, Las Vegas and throughout the rest of Canada, the United States and the rest of the world.